These adorable boxes make the perfect holiday gift for anyone on your list. 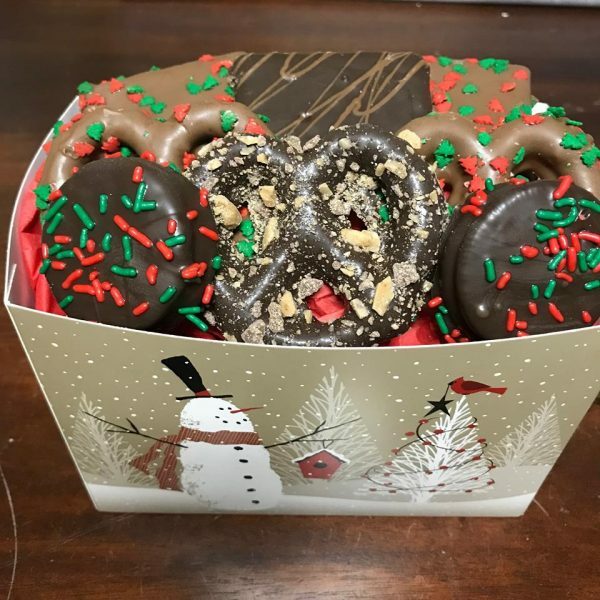 Each box contains a variety of chocolate covered graham crackers, pretzels, and oreos. Choose from the different box styles. 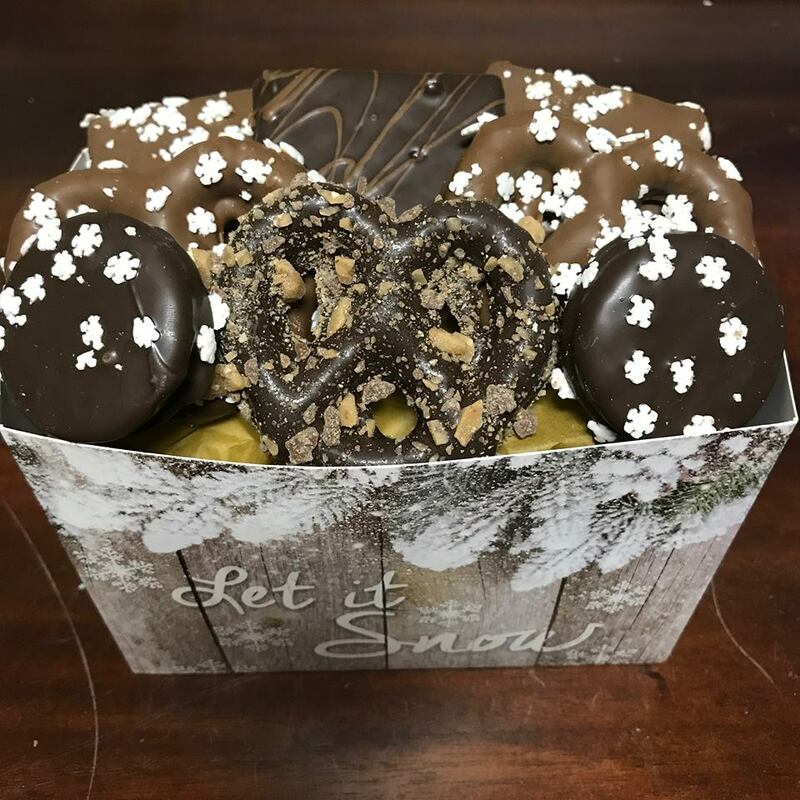 *These items contain toffee heath bar which is made with pecan oil. 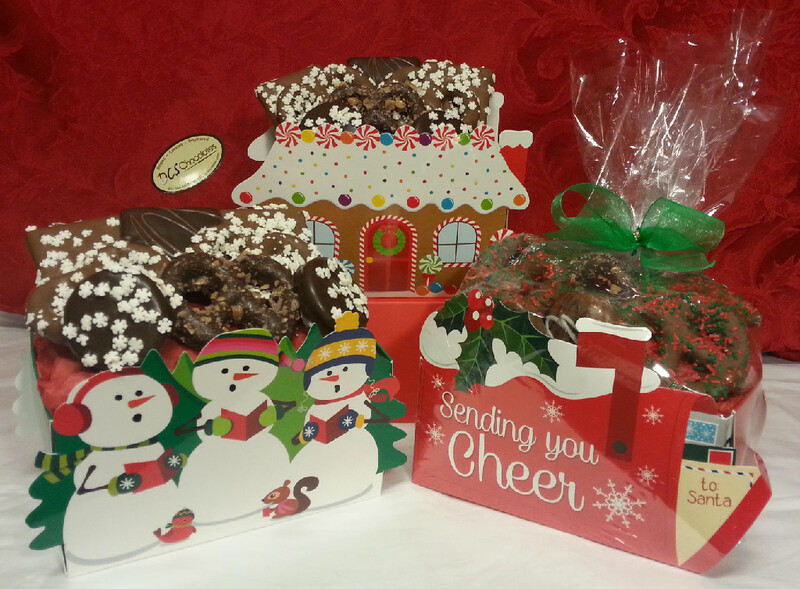 If you wish to NOT have toffee heath bar included please mention it at checkout in the “Note to seller” section.